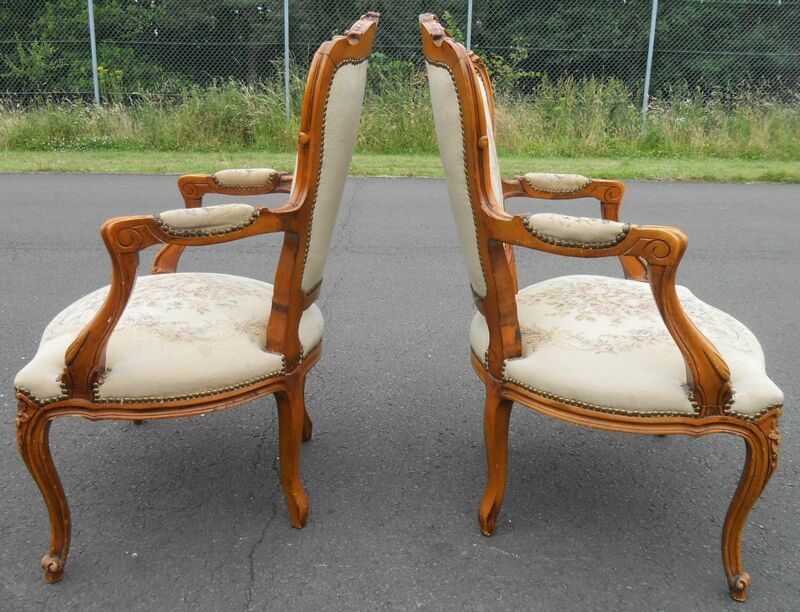 Attractive carved walnut three piece drawing room suite, consisting of settee and two matching armchairs. 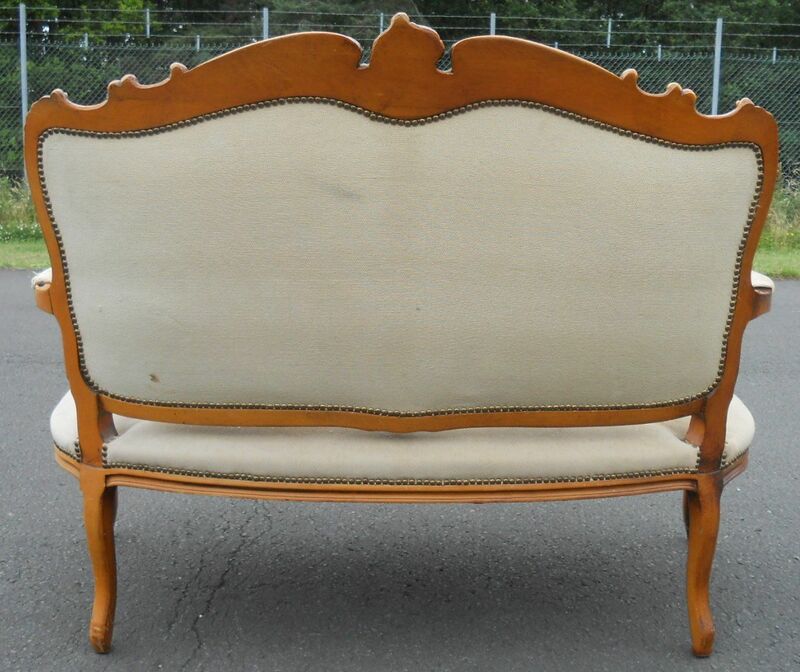 Having shaped carved backs and raised on cabriole forelegs, this lovely three piece suite is in sound and sturdy condition throughout. 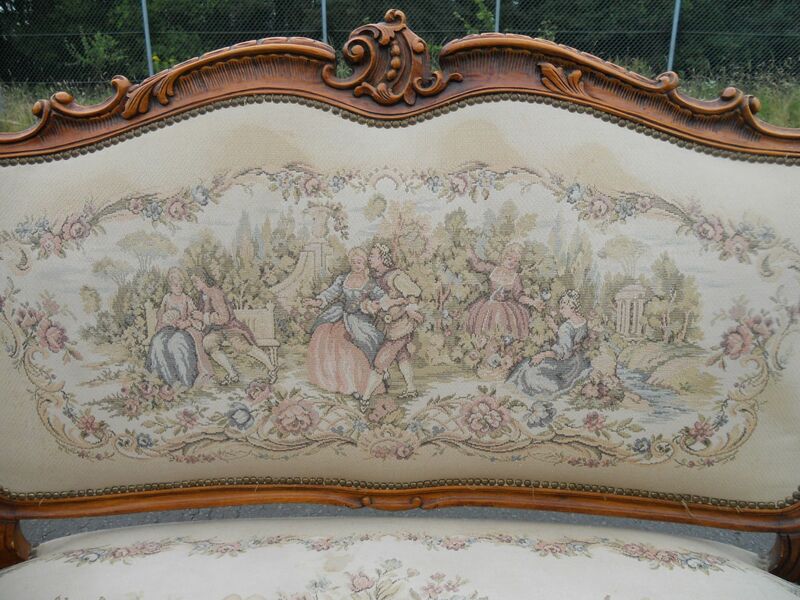 Having original upholstery depicting romantic courting scenes, this is a charming suite which would give an elegant feel to any room.